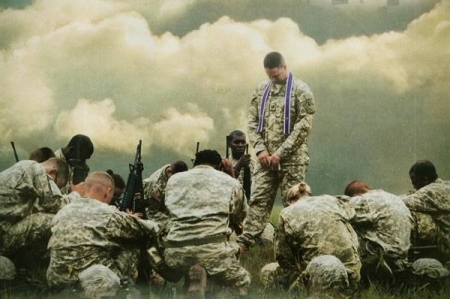 Since Obama became President, the military has been waging war on Christianity and now it’s: even thinking of taking God out of the Air Force oath. The Air Force Academy is considering dropping the phrase “so help me God’ from its honor oath after the Military Religious Freedom Foundation filed a complaint. The Academy’s Honor Review Committee met Wednesday to review the oath in response to the MRFF complaint, said Public Affairs Director Maj. Brus Vidal. “They considered a range of options and some of those options will be presented to Academy leaders and, ultimately, the Academy Superintendent for a decision,” he said. Last week the Colorado Springs Independent newspaper published a photograph of a poster at the academy which included the oath. The newspaper then forwarded the photo to MRFF President Mikey Weinstein. Weinstein, a frequent critic of Christianity in the armed forces, wrote a letter to Academy Superintendent Lt. Gen. Michelle Johnson. Weinstein said she responded 68 minutes later. While the poster has been removed, the phrase “so help me God” remains as part of the oath. Vidal told the Air Force Times they could either make no change, make the God part optional or strike the entire oath. “We value an inclusive environment that promotes dignity and respect for all,” Vidal told the newspaper. Tony Perkins, president of the Family Research Council and a Marine Corps veteran, told Fox News it’s not about accommodating those who don’t believe in God. We live in a country where the majority is discriminated again on behalf of a minority and if Christians don’t speak up about it, we’re going to continue to be marginalized.